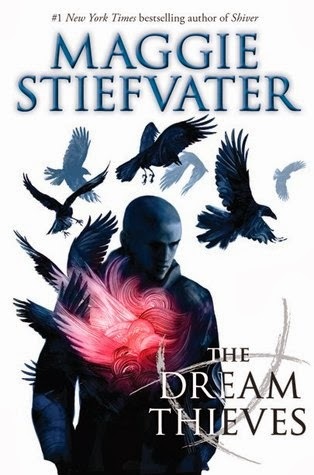 I anticipated Maggie Stiefvater's new book, The Dream Thieves (The Raven Cycle #2), for over a year because I enjoyed the first book in the series, The Raven Boys. I tried to ignore the growing panic as I read through pages and pages of pill-popping, only to cry when I realized that the only counter-measure the author included was a couple paragraphs detailing that two other characters (Blue and Gansey) didn't participate in this type of lifestyle (but no explanation as to why they don't participate). Maybe it's my medical history. I've had to fight to get real health care because too many doctors would rather drug me into oblivion than investigate the cause of the problems. I've lost a lot of friends to what doctors keep insisting is "medicine." I don't want to read books encouraging young adults to take that route. Oh. Boys. To be specific: two rich boys, one magical and the other almost normal except for that whole fabulous wealth thing, and one poor boy with neither money nor magic. Toss in a ghost boy, Noah, and the main female character, Blue who barely bother to show up for the story. My issue with the first book in the series was that it took forever for the world to be set-up; this book felt like character pre-writing for Ronan, who stole most of the show. I don't care for Ronan - I want to witch-slap all the boys, but him especially. Then, add cars. Because that's just what the story needs to enliven it. A rich, magical boy drag racing and wasting fossil fuel because...?? Yeah, I didn't get it either. It bored the crap out of me. When are we getting back to the ley line? How goes the hunt for old Glendower? I wouldn't know - it's all in the background, being set up for a third book while not being addressed here. Ronan also picks up a drug-addicted friend in this book and the two of them sit around popping pills for a while. Pages and pages of pill-popping countered only by a couple meager paragraphs implying that this might not be cool with a couple of the other characters (Gansey and Blue). There's no strong message telling kids not to do this - in fact, the story implies that popping pills is the best way for Ronan to learn. I suppose this is a realistic with what's out there in the world but I don't like the message. Which is weird, since I oppose the laws making most drugs illegal (as it turns doctors into racketeers and creates more criminals) but maybe this will be redeemed in the third book. Maybe we'll see Ronan forced into rehab but I doubt it - in fact, his life (and the lives of those around him) probably won't be screwed up at all from pill-popping because he's a special magical rich kid. Besides, Ronan in rehab isn't what I want to imagine when I close a book and try to visualize what-happens-next. I requested an advanced copy of this book from NetGalley because I enjoyed the first book in the series but I was very disappointed in this book.